Many people like working out at home. It allows you to exercise at your own pace and without any distraction. Also, you don’t have to share the equipment with anyone, meaning there are no waiting times. Buying your own gym equipment can also be considered an investment that will pay for itself. 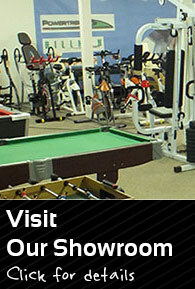 With your own machines, you will not need to pay high gym fees, and in the long run, you will have saved some money. If you want to exercise at home but do not have sufficient space, you can consider buying fold up treadmills. These machines can be folded when not in use. This can allow you to store them in a very small space. Even though you want to save space, you should not necessarily go for a small machine. Make sure the device is suitable for your weight and height first. Also, you should check the stability of the equipment. As a general rule, cheaper machines have more flimsy frames. That being said, you should always select a machine that fits your budget. The JLL S300 is among the highest rated treadmills in the United Kingdom. It is designed with a slightly larger-than-average running surface of 123 cm by 41 cm. The product is ideal for beginners as well as experienced runners since it has a 20-level incline. To adjust the incline, you should use the buttons on the handrail. With a steep incline, you should be able to experience a good workout just from walking. This treadmill comes with 15 preset programs. You can use it for different purposes as the speed can be adjusted to anything between 0.3 km/h to 16 km/h. The speeds of the first three programs can be adjusted to suit your level, but the rest cannot be changed. You should note that these speeds make the product unsuitable for younger children. If they want to use the treadmill, you should be around to monitor their activity. To make it easier for you to train longer and harder, the manufacturer added a 16-point cushioning system. This system reduces the impact of the activity on your joints. The result is an increased level of comfort. The treadmill is designed for all levels of workout. The belt is tough enough to endure strenuous workouts, and the running space is also large enough to suit different running styles. 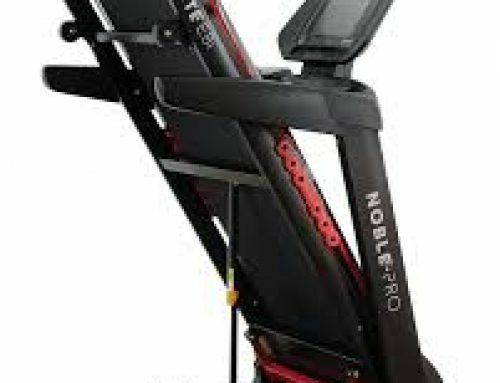 This is another highly rated foldable treadmill. It is suitable for beginners or people who have not been exercising much. The top speed of this treadmill is 8 km/h, and that is only good enough for a quick walk. To make it even more fitting for beginners, the product was developed to be easy to assemble. Even if you have never assembled a treadmill before, you should not expect to spend more than a few minutes setting this one up. The V-Fit Fit Start treadmill comes with four different programs. Again, these ones are only meant for people who have not been working out. They are very simple and not taxing at all. If you want a more challenging session, you should switch the machine to manual mode. It only has three position manual adjustments, and you can increase or decrease the incline to adjust the intensity of your workout. The machine has an LCD screen which conveniently displays your pulse rate in beats per minute. This can show you how intense your training session is. The machine is also equipped with an emergency stop system. It can be wheeled around for easier transportation, and you can quickly fold it for storage. The Reebok ZR8 treadmill is specially designed for people who live in small houses. It measures 130 cm by 40 cm and also runs very quietly. You can actually run in one room and people in the next room will not get distracted. The machine also comes with built-in speakers. These are great for watching clips and videos, but they can be a little silent for music. If you can exercise on calm music, the speakers should suit you perfectly. For greater convenience, the machine is designed with buttons in the arms. These buttons can be used to control the speed and incline of the machine. The treadmill is controlled by a 2.0 HP motor which can power it to a top speed of 16 km/h. With this speed range, you will be able to use the treadmill for short sprints and long endurance runs. If you need to increase the intensity of your runs, you can adjust the treadmill to a higher incline. The machine has 12 levels of incline. The Reebok ZR8 comes with 24 varied programs, and these have different levels of intensity. You can track your performance on the console. The details provided include the calories burned, the distance you have covered, the duration of your run, your speed, and your heart rate. 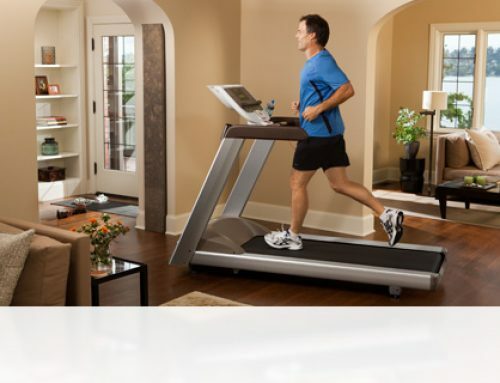 Fit4Home Unisex treadmill is an ideal workout companion. With a total weight of about 30 kg, this product can easily be moved around. Also, it is designed with wheels that make it even more mobile. You should note that this product is quite small and will only be ideal for people under 6 feet. Although it is developed to be high in quality, it is likely to get damaged if used by people over 85 kg. Generally, the machine is best for short women. If you regularly exercise, you can consider using the manual incline function to change the intensity of your workouts. The bar at the bottom of the treadmill is used for this purpose. You will simply need to remove a pin from the bar and click on one of the three available settings. You should note that the machine comes with a 1-year warranty on the parts and labour. It is important to always carry put routine maintenance on the machine since poor maintenance can void the warranty. This product has a speed of between 0 and 20 km per hour, and it has a 2.8 horsepower. It has an incline range of 15 levels. The running experience on this treadmill is highly comfortable. This is because the machine operates quietly and smoothly. The running area is also large. It measures 53 cm by 143 cm, and each of your steps will be cushioned by DKN’s Progressive Shock Absorbing system. For precise measurements, the treadmill has a Bluetooth Smart wireless heart rate receiver. The measurements taken by this device are displayed on the console, along with other important measurements. Other elements of your workout feedback that you will see in the console include your speed, your current incline, your pulse, the calories burned, the distance travelled, and the duration of your run. The console is also designed with a port which you can use to plug in an mp3 device such as your phone. The music will be played over the two stereo speakers. To further enhance your training experience, the machine is designed with two storage areas. These can be used for the storage of your bottles and containers. The DKN Unisex Road Runner was developed with 24 built-in workouts. There are two additional user-defined workouts: manual and an HRC program. The HRC program is meant to get you warmed up for the more strenuous workouts. After this particular program, the incline and speed will automatically get adjusted. The BodyFit Compact Electric Treadmill is one of the smallest treadmills on the market. You may need to take some time to adjust to the design of the product. The machine is also very easy to assemble. The assembling process will just involve the release of the holding screw and the tightening of the belt. You will not even need to use tools for the assembling of the machine. This product is designed with a central control panel, and this allows you to view your speed, distance, the time taken, and other important variables. This control panel is positioned just in front of the running space, so you will be able to track your performance as you run. The BodyFit Compact Electric Treadmill also comes with preset programs. You will just need to pick one of the automatic programs and follow the instructions. The machine comes with a 12-month guarantee. It is also cheaply priced, but it certainly delivers excellent quality. There are many fold up treadmills available to UK consumers. These machines are available in different price ranges, and the quality also varies among the products. 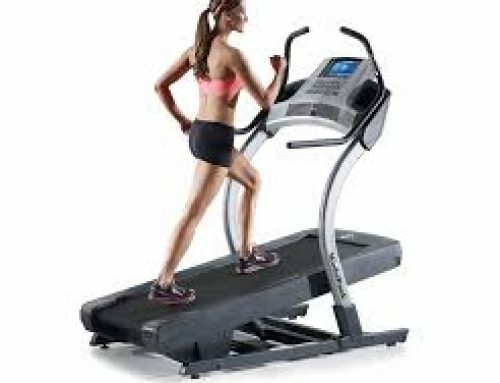 Some of the top-rated fold up treadmills include the JLL S300 treadmill, the V-Fit Fit Start treadmill, the Reebok ZR8 treadmill, the Fit4Home Unisex treadmill, the DKN Unisex Road Runner, and the BodyFit Electric treadmill. These machines are available for purchase in many online and physical stores.